“Armação de Pêra is a wonderful place to explore, and the fishermen's huts are always worth a look. 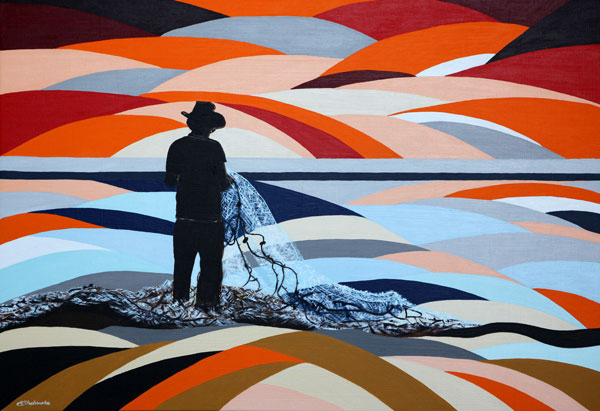 This fisherman was engrossed in checking and mending his nets, and the setting sun made the nets glisten against the backdrop of the sea. How could I not paint it!?"